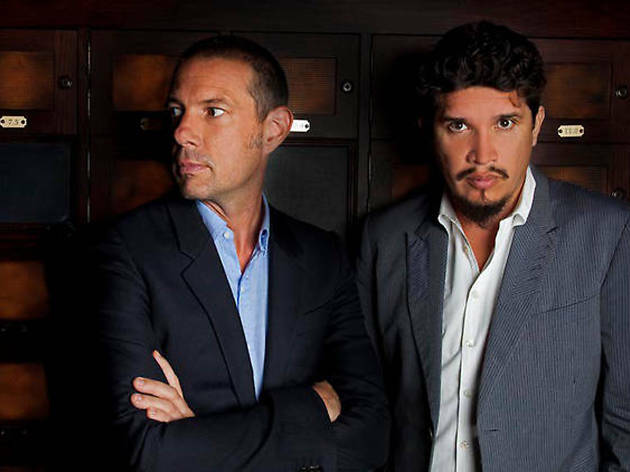 Consisting of musical multitalents Eric Hilton and Rob Garza, the D.C. duo Thievery Corporation produces lush musical soundscapes culled from an expansive list of worldly influences: from Brazilian bossa nova to Jamaican dub reggae to psychedelic space-rock. The broad stylistic pallette is further sharpened by an incisive radical political bent, sounding a multilingual protest of, you know, "the system, man!" 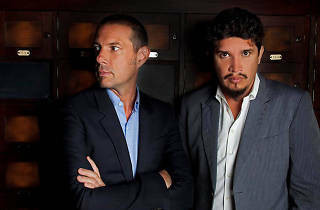 which is more timely now than even before their late '90s heyday. Onstage, the lineup grows to a full band of instrumentalists and vocalists for a spectacular live show.